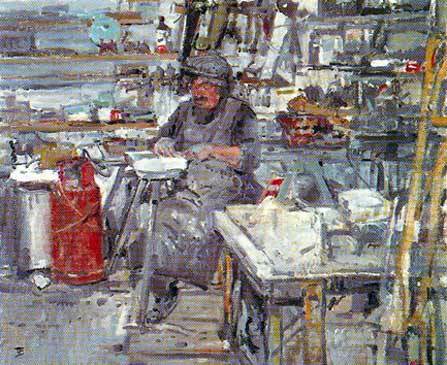 Peter Hayes was selected to attend the Moseley School of Art at the age of 12, leaving in 1961 to become a student at the Birmingham College of Art. He later travelled extensively throughout Africa, spending several years working as a ceramic artist and sculptor with a large number of tribes and village potters. He was intrigued that by the use of such limited technology and basic tools the craftsmen could produce such exquisitely beautiful surfaces. He later discovered the same inherent skills during his extensive travels in India, Nepal, Japan, Korea and New Mexico, and tried to adopt the ideas he acquired during his travels in his own work. Peter returned to the UK in 1982 and converted a toll house in Bath into a studio. Since then he has worked incessantly to develop his thoughts and ideas using many of the techniques and methods learned during his travels. "I have known and worked with Peter Hayes for many years and very much enjoy his work. Peter Hayes finds much of his inspiration in the landscape. 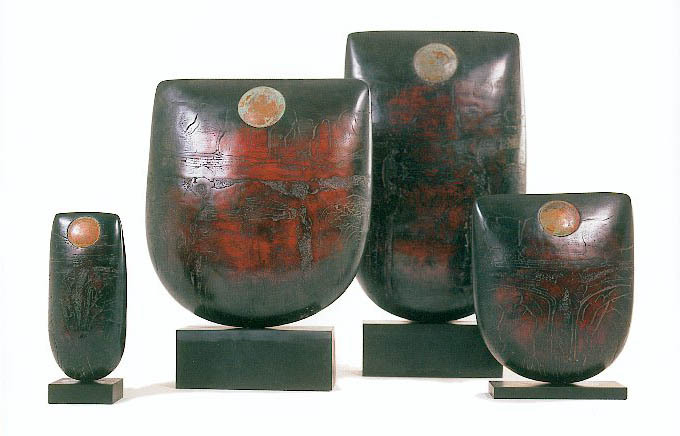 In the surfaces of his pieces one can find motifs that he first developed after living and working in Africa. 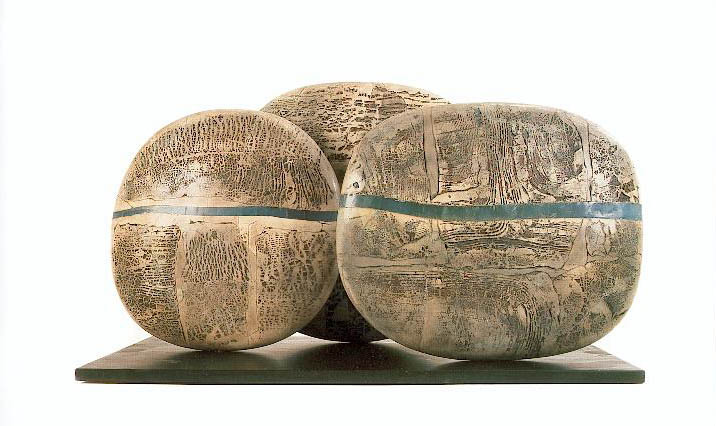 Since the mid-eighties Peter's work has changed greatly from that of a ceramic artist who might by loosely called a potter, to that of a sculptor who happens to use ceramics as his medium. Function has been changed for pure form. Never standing still, he is constantly experimenting and developing his work. This sculpture is instantly recognisable as his . . . very definitely of our time, but with reference to antiquity . . . to which we all respond." 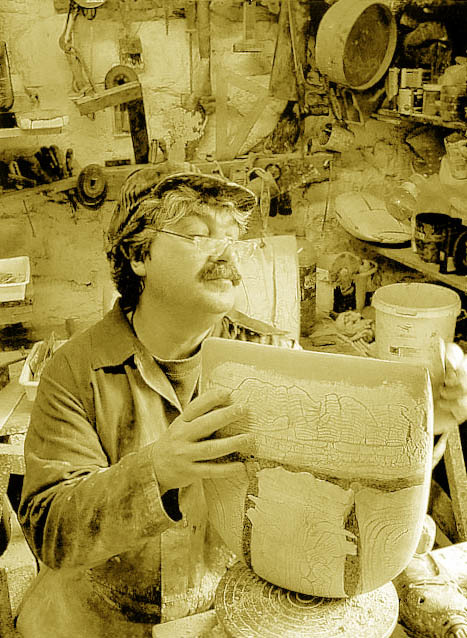 His unique styles, techniques and innovative concepts have placed Peter Hayes at the very forefront of the international community of contemporary sculptors. 2001 Peter Hayes & Peter Joyce, Bournemouth Univ. 2000 Seated Bronze Figures, Prior Court, Oxon. The Stour Gallery, Shipston-on-Stour, Warcks.